Chico, CA, March 18, 2019 --(PR.com)-- Based on high website-user interest, RV Rental Connection, an award winning Peer-to-Peer RV rental website that serves the US, Canada and Germany, has released the highly sought after list of the top most listed and the top most requested RV’s for dealers and individual owners. See the full list of the Top 8 Most Listed RV Rentals by Dealers and Individuals, on the RV Rental Connection RV Income Tips Blog. RV Rental Connection, Inc. is a Purpose Driven Company with a “calling” far more significant than earning big percentages from its RV Owners' rental income. Owner’s keep 100% of their RV rental income. RV Rental Connection is a Peer-to-Peer RV rental website for individual RV owners and dealers that want to connect with travelers who want to rent a private RV, or from a dealer-owned RV rental fleet. It is a company all about creating value for others, while enriching RV Owners' and RV Renters' lives through every means available. Company achievements and motivations are measured solely by the smiles, satisfaction and lasting memories they help others create, not by a bottom line. 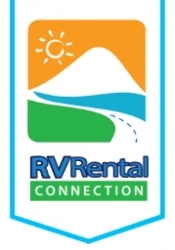 At RV Rental Connection, the company name is all about what they do: Connecting others in a positive way through RV Rentals.